Cassper Nyovest’s Family Tree presents a new R&B/Hip-Hop artist from Mafikeng (Maftown) called Tshego. The South African debuts on NJO with the song and video titled “Out Here“, off his debut project “Since 1990” which drops in 2016. If this song is anything to go by, it might just be the start of something special. Keep your eyes and ears out for Tshego. 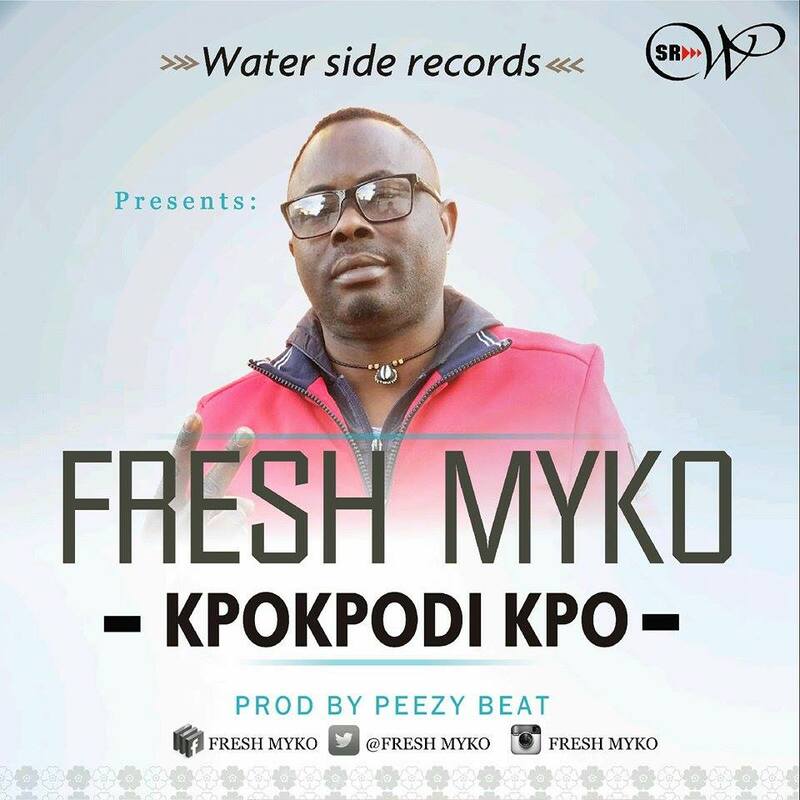 Water Side Record Presents Naija EU finest Act Fresh MYKO New Officilal Single kpokpodi kpo. “Ubido Chukwudi Daniel a.k.a Morientez is a Nigeria Born artiste. Morientez is signed to 1073 Records, a music record label formed by a group of young individuals with the goal of providing a platform for talented Artists and Producers to share their music with Nigeria, and the world at large. A graduate of chemistry from the University of Benin. He has participated in and won several music talent competitions in Nigeria, among them the MTN/Soundcity Campus blast 2007, he was a runner-up at the Star Quest music talent hunt 2008, he was a semi finalist at the Glo Naija Sings 2010 competition, and winner Mr Glo Rock and Rule 2011(South South region). Morientez is now out to create a niche for himself in the Nigerian music industry with the release of a new single titled “Leba”, produced by follow label-mate ODH. “As we await the release of the anticipated single ‘Water‘ by Teddy-A, the Big A Entertainment star rolls us an Ace as he and the East African TitanEddy Kenzo link up for this freestyle ‘Lean Back‘ produced by Demsa. “Yellow Butterfly Music Presents Beverly as she releases the anticipated visual to her hit single Papilo which features and is produced by Selebobo. “Looks like the surprises just keep on rolling in! Not only did Papa Dennis release a new track from his debut album, but he released the accompanying visual to go right along with it. “AbOriginal Music’s Eclipse kicks off the countdown to his highly anticipated EP, CITY OF DREAMS, with the release of its first single, SALAMALEKUN 2.0, the official remix to his previously-released single SALAMALEKUN, this time with a guest feature from hip hop’s #Chairman, MI Abaga, who joins Eclipse in celebrating music success — while dismissing jealous “haters”. A video is in the works, and should be on screens everywhere soon. In the meantime: listen to—and enjoy—this sure-fire jam from Eclipse and Mr. Incredible. CITY OF DREAMS will be released in January 2016. Suited and booted. Nigerian based fast raising talented artist OFFIAH ANTHONY IKECHUKWU aka KING PERRY has dropped his much anticipated single #NUMBER 1, produced by Reflex Soundz. The 21 year old student of Federal University of Technology, Owerri recently signed a multi-million naira deal with a Dubai/Nigeria based record label “LE BARON ENTERTAINMENT”. Watch as King Perry sets new standards for class and elegance while serenading the ladies. Port Harcourt music sensation and Rotimi Amaechi Godson Femi Large (Oluwafemi Samuel) drops this appreciation song to God for all the Good things he has done in his life saying he’s the reason for all the great things happening to him. 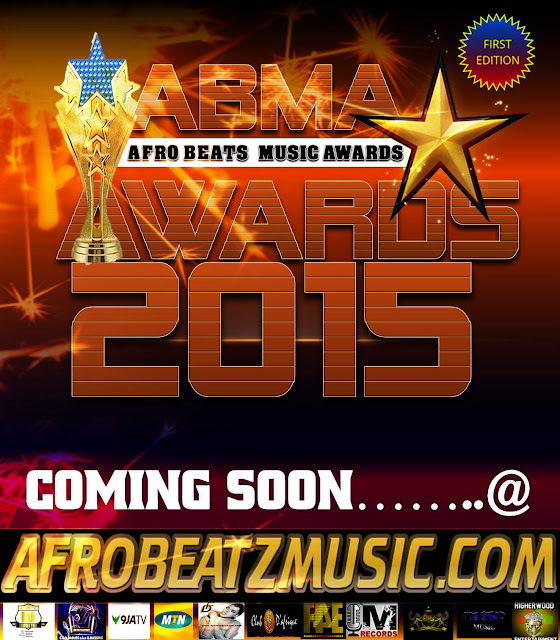 He teams up with former Timaya Dem Mama act, Wrecobah who delivered some intelligent lines in the song. Minutes after officially releasing the audio, Starboy Entertainment act – L.A.X – comes through with the video for his brand new Sarz-produced single “Open and Close“. Alternative Soul singer, Tomi Owó, has released a new single, “Inside Out,” off her project to release one single a month. Joss Mooney, 26, got together with Vicky just days before she flew to Oz. The pair had a brief fling after meeting on the MTV show Ex On The Beach, but met up again on Vicky’s 28th birthday, a week before the show started. After they split, Vicky hit out at Joss, saying he was “s**t in bed”. But he just laughed off her jibe and said they’re now back on track. “I saw her on her birthday before she went out to the jungle. It was amazing. She looked so beautiful. Fan favourite: Vicky Pattison has been tipped to win I'm A Celebrity... Get Me Out Of Here! Vicky is favourite to be crowned Queen of the Jungle after impressing viewers with her one-liners and gutsy attitude to tackling trials. 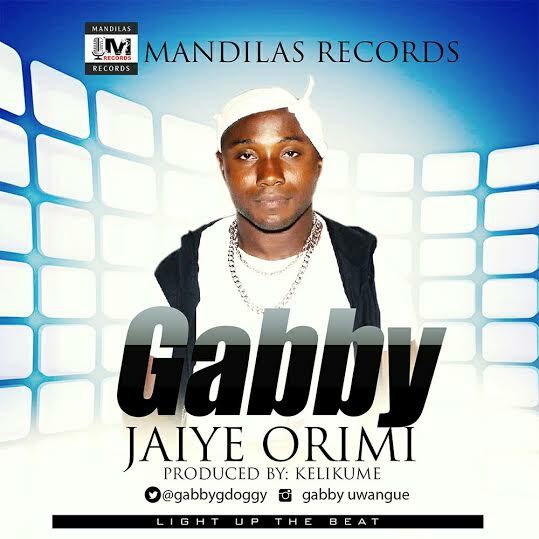 “Flyboy has been out with a couple of singles featuring Terry G, Skales and others. He recently collaborated with YBNL Boss ‘Olamide‘ and here’s the official video; courtesy of Bompy Music. The S.A-Naija love affair continues as DJ Maphorisa aka BlaqBoy features Runtown and the Grammy-Award winning Brian Soko ) . The song is produced by Mr Kamera (Zimbabwe). “Star Female Artist, Fefe finally releases the visuals for her hit single “Make Sense” (directed by Mazi C. I Jizzle). After a short spell with Capital Hill Music, Fefe recently signed with Rebel Planet Management. She is preparing to release her EP titled “Mixed Feelings” which will include 9 mind blowing tracks. Real Estate Company “Intellome” announced Fefe as the new brand ambassador for the company. 2016 seems to be a busy year for the female star. “Nazzy F set off the last quarter of the year ablaze with his recent single – ‘The Street‘, featuring Cavaldo Phills which shows of his thrilling versatility and uniqueness. He decided to drop the official audio after the release it’s viral video which is already making waves in the south east of Nigeria. He is one artiste that has come to stay, so let’s listen to the message he has for The Street. “Fresh Talented Singer “Jane Nina” emerges into the Music scene with her buzzing debut single ‘Pata Pata‘ featuring Achievas Music front man “Solidstar“. With “Pata Pata” , Jane Nina stakes her claim to a spot in the industry. This Single is been followed up with a nice video directed by MattMex. Voting starts on 2nd december 2015 and ends 22nd december 2015. “Hotter than fire he has always been, his style of rythme; Hiltop Records presents Freesoul is an embodiment of Afro flavoured dancehall and Pop music. He his the true ADH prince. His new single”Morefire” will never stop appealing to lovers of good music. His tranquil manner of beat and lyrical purity, will always light up your world with beautiful feelings. “DJ ATTE returns to the music making scene with a mid-tempo banger called Swe Swe Bale featuring the lady with the German juice Cynthia Morgan, fast rising prolific vocalist Jumabee, Grip Boiz’ Endia and upcoming dance hall Artiste – Dezign. 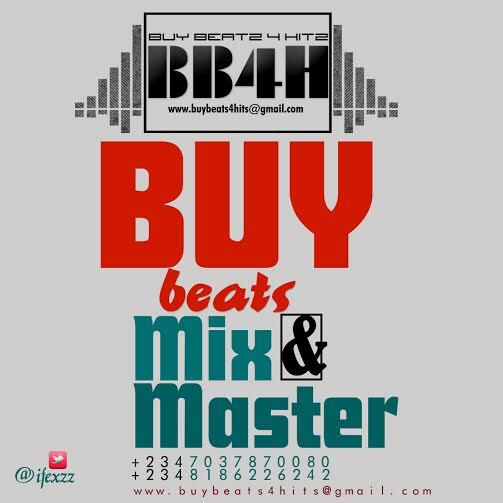 DJ ATTE‘s last works were a series of remixes in 2013 which included Jaywon’s This year, Majek Fashek’s Send down the rain and 2face’s Rainbow and a single Inosa Etuba where he featured Jaywon, Jumabee, Aina More, Phenom and Omo Akin. He’s been working hard dishing out weekly mixes and mash ups with the hashtag #DjAtteInTheMix to the listening pleasure of his fans and lovers of Naija & African music every Saturday night on one of Nigeria’s top Radio stations – Naija FM 102.7, Lagos. Expect more from @DJATTE in 2016. The Sumpreme Mavin Dynasty presents the music video of JantaManta, a new magical single featuring Don Jazzy, Tiwa Savage, Dr.Sid, D’Prince, Di’Ja, Reekado Banks and Korede Bello. 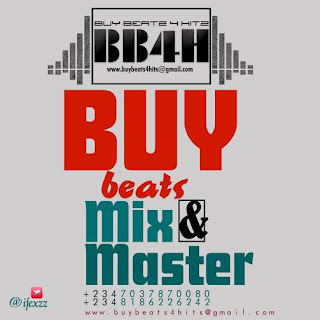 It is produced by Don Jazzy. The magic began 4 months ago when Don Jazzy previewed the early beginning of JantaManta on Instagram and Snapchat. After perfecting the beat, the 6 dynamic and award winning Mavin Record artistes proceeded to add their creative lyrics to bring the song to life. JantaManta is the 4th single from the Mavins after the groundbreaking Dorobucci, Adaobi and Looku Looku. “Music video for Proceed With Caution performed by SLEEK. The independent Toronto based Nigerian artist SLEEK describes what it/s like living in a high risk community, losing friends & family. Video was shot and directed by Danny Snow of Sunset6 Productions. “Music Legend, Wasiu Alabi Pasuma is back with a brand new video –Olohun Ojee – dedicated to Almighty God for protection over him. Burna Boy‘s sophomore album “On A Spaceship” is out! I’ve been going through the 20-tracker all day to select 1 or 2 songs for y’all to listen to, and believe me, it’s been such a tough task. That’s how good the album is. Giniz impresses once more with her latest effort – “Too Weak“, the song is a blend of rock and pop, amazing performance from her. Ajanaku is gradually becoming a major force to reckon with on the Nigerian music scene. His most recent official single, PAIN is still enjoying massive airplay on major radio and TV stations. This extremely talented young man blesses us with two wonderful previously heard songs from his archives as they were recorded about a year ago, ‘Satiramoni’ & ‘I’m Here’. ‘Satiramoni’ is a local rap song by Ajanaku which features from Indigenous rappers Ola Dips and Zlatan Ibile produced by fast rising music producer, Deski. ‘Am here’ however is a low tempo song with great content and message. Take a journey and experience the beautiful eastern culture of Nigeria withD’Prince and Phyno with this massively heavy tune titled Tarity. The music video is a flawless depiction of the flagship unique Odumodudance and the iconic Ekpo masquerade from the ancestral Igbo heartland of Umuahia, Abia state. The touch of classic Mercedes Benzs and Lebron’s add rich and colorful dynamics that give this music video a vintage but yet contemporary feel. ; all while enhancing the arts and cultural values of Nigeria. D’Prince, one of Mavin Records finest, is currently on a hit-release spree. Tarity is his 3rd music video release in the past two months. It follows the hilariously successful Oga Titus and Bestie, the new #FriendZone anthem. D’Prince is on Twitter and Instagram with the @dprincemavin handle. “iClass Music Frontline Artiste “Holumide” sets off the last quarter of 2015 ablaze with his New infectious banger “ORIN” which shows off his thrilling versatility and uniqueness.